This 10.25 mile section of the entire 19 miles of the Des Moines River Water Trail is a scenic, historical and natural experience with a stretch between the Harriet Street Access and Yellow Banks County Park located in central Iowa's Polk County. South Section (Harriet Street to Banks County Park. Trailhead located at Harriet Street River Access: From I-235 in Des Moines head south on Highway 69 (SE 14th Street) for 1.26 miles, turn left onto Harriet Street, follow to the river access. 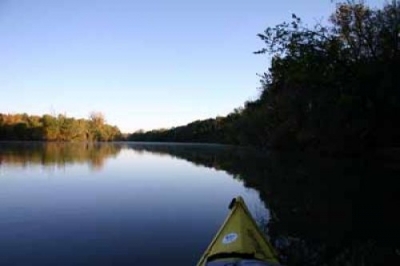 The entire stretch of the Des Moines River, which encompasses a length of 525 miles from Lake Shetek in Minnesota to the Mississippi River in southeast Iowa is an extremely scenic stream. The 20 mile, state designated Des Moines River Water Trail section in Polk County, Iowa provides a unique opportunity to connect a diverse group of trail users, including both rural and urban populations. 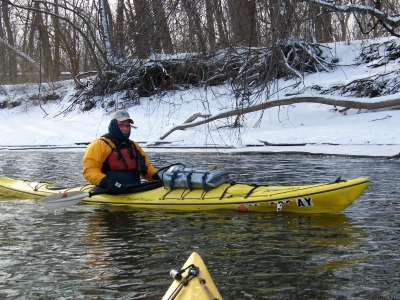 The northern-most access point can be found just below the Saylorville Dam, north of Des Moines in Cottonwood Recreation area, with the southern-most access point being at Yellow Banks County Park, which boasts new paddle-in campsites enabling a multi-day paddling experience with excellent camping amenities. The trail spawned from partnerships among government agencies in addition to numerous clubs and organizations realizing an existing need for a growing population of water users. Beautifully constructed informational kiosks stand at each access point providing information, maps and safety messages pertinent to trail segments. This unique trail not provides a critical healthy community promotion feature, it also connects with multiple other trails. 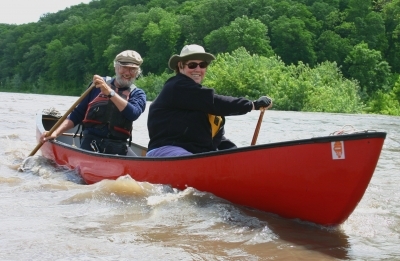 The intertwining of many trail types can provide a unique opportunity and enable visitors to create their own special experience. Connections to the Neal Smith Multi-Use Trail, which was designated an NRT in the 1990's, can be accessed at two places along the trail. A mountain biking trail as well as the Trestle-To-Trestle paved biking trail can also be accessed easily from the water trail. Des Moines Bridge. Photo by Kelli Phillips. New Year's Day paddle. Photo by Kelli Phillips. Winter paddle. Photo by Kelli Phillips. Paddlers. Photo by Kelli Phillips.